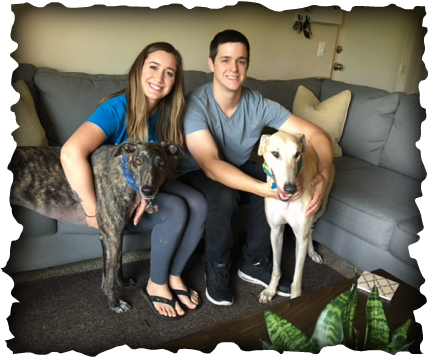 Katie and Evan who live in Blue Ash have a gorgeous dark brindle boy named Cosmo who needed a friend. They fell in love with the breed and saw Graham's photo on our website and had to meet him. Graham picked them as his humans and the adoption was made quickly! We know we'll see this family with their two handsome boys at lots of GAGC events in the future.